Removes tough industrial soils and stains, even old ones. DuPont Zelan? stain blocker replenishes stain-resistant agents removed during cleaning. For water-based, oil-based and combination soils including motor oil, margarine, lipstick, fruit juice, coffee, wine, tea, spaghetti sauce and chocolate. Spray, then blot dry. Contains no phosphorus. Removes tough industrial soils and stains, even old ones. DuPont Zelan? stain blocker replenishes carpet's factory-applied stain resistance. DuPont Zelan? stain blocker replenishes stain-resistant agents removed during cleaning. 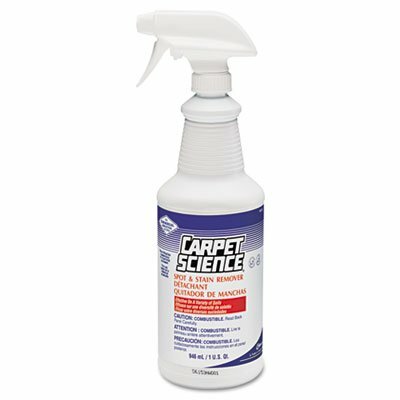 If you have any questions about this product by Carpet Science, contact us by completing and submitting the form below. If you are looking for a specif part number, please include it with your message.